The sport of Jump Rope has many different outlets. Jump Rope Competitions happen all around the world in many different forms and disciplines. 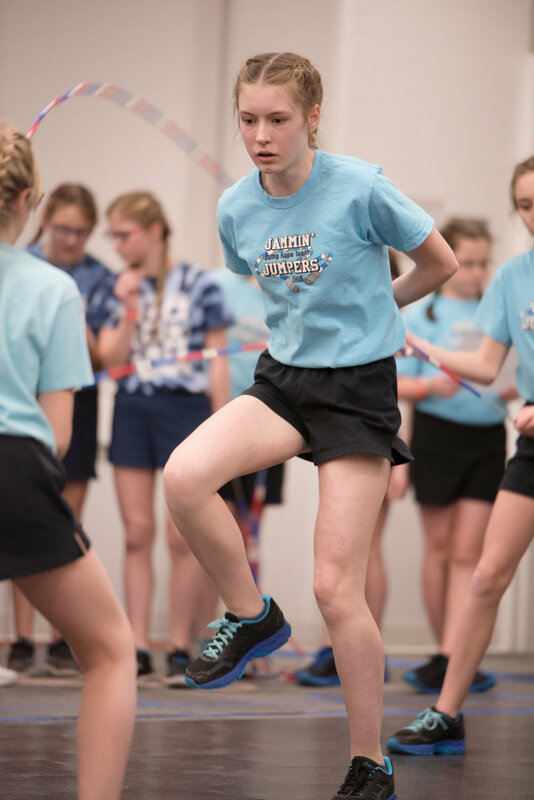 A jump rope athlete can be involved in restricted or open events based on the requirements of the organization that they are affiliated with in the sport. Speed events are categorized into three areas: Speed, Power, & Endurance. All three areas challenge an athlete to develop jump rope speed, power, & endurance utilizing different training techniques. Short speed events involve 30 to 60 seconds of intense speed step or power (double unders). Endurance events challenge the athlete to go for longer periods of time (Example: 3 Minute Speed). Speed events are competed in three divisions (Single, Pairs, and Team). Freestyle events are categorized into four areas: Single, Pairs, Double Dutch, and Team. Athletes complete a set of skills with or without music in front of a panel of judges. The judges look for different elements based on Content & Presentation. Content involves the skills performed based on levels and the combinations of those skills. Presentation involves the way that the skill is presented to the judges or audience by utilizing good posture, eye contact, and body alignment. Visit AMJRF for local, regional, and national events. A Double Dutch Contest event incorporates speed and freestyle by using dance and music to entertain the crowd.